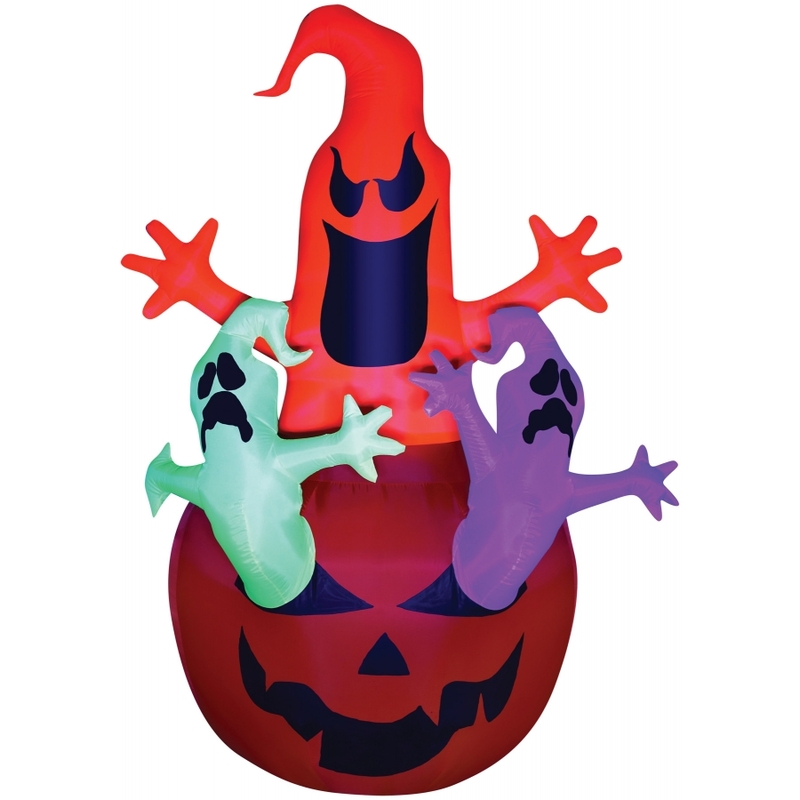 Airblown Pumpkin Jack with Neon Color Ghosts Trio scene stands almost 7 feet tall! 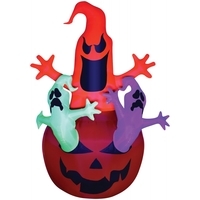 Lights up and self-Inflates in seconds. Includes black light spotlight, 4 base stakes, 4 tether stakes, 4 nylon tethers, inflatable unit. ETL listed. Indoor/Outdoor use. Can be used in the daytime too!